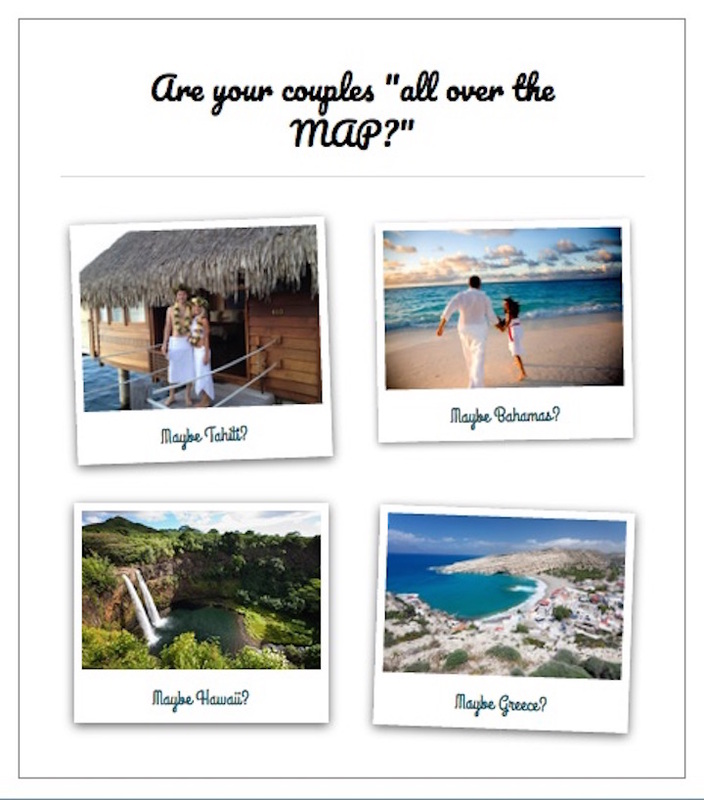 Romance Travel Specialists- Are your couples all over the Map? We would like to share with you a new VR “award winning” interactive tool that will save you time and help you WORK SMARTER! Try Demo now! click the box above to start. Virtual Honeymoon was created to use on your couples that have NO idea where to go on their Romantic Getaway! 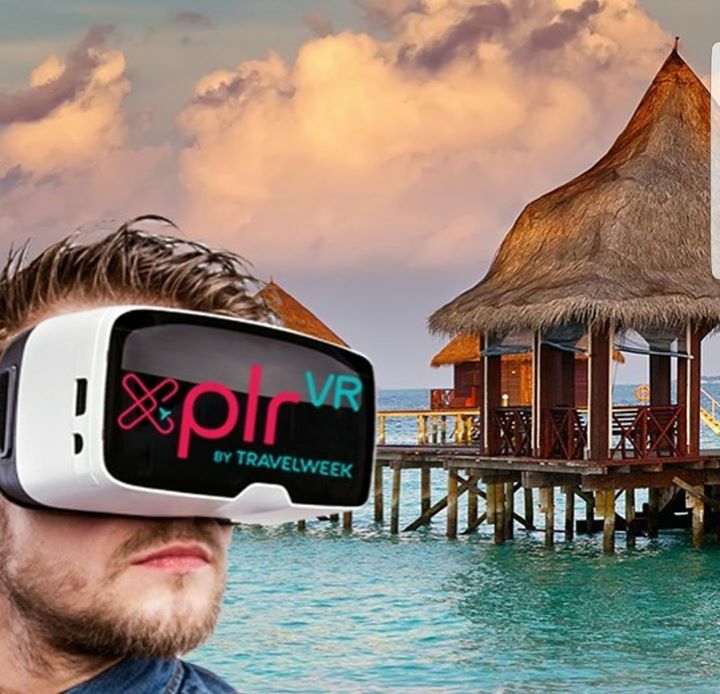 By implementing VR (Virtual Reality) and 360* Videos, agents can now not only match the couple to their top destination but let them virtually experience it! “How cool would it be to take Virtual Honeymoon tool to a Wedding fair, try on the couples that don’t know where they want to go on their Romantic Getaway, they can take our fun interactive test, get their destination match and then the agent put a VR headset on them to jet away to virtually experience say Jamaica! Agents better have their deposit forms ready! By answering a series of carefully thought out, fun, interactive questions about their likes, preferences, budget etc….the intuitive VR tool will match the clients to their top two Destinations based on their answers selected. The tool will then show their top two matched destinations side-by-side with descriptions of each, from there they can select one (or both) to experience, a beautiful page opens up with destination information, photo, video, links to explore! The system can track each clients Q/A data and when activated, emailed direct to agent, for follow-up! Posted in Honeymoons, Romance Travel Specialist, Virtual Travel, VR, VR Travel | Tagged 360 videos, agent at home magazine, Destination match, Destination Wedding Specialist, find top destinations, Honeymoon agent, Honeymoon Specialist, matching tool, romance travel, romance travel specialists, Romantic Getaway, top destination matching, top destinations, top honeymoon destination, top romance destinations, travel age west, travel agent magazine, travel agents, travel alliance, travel media, travel specialists, travel week, travel weekly, travel writer, vacation agent, virtual honeymoon, Virtual Reality Travel, VR, VR headset, VR tool, VR travel agency, vr video, vrtravel, weddings | Comments Off on Romance Travel Specialists- Are your couples all over the Map? Announcing our Waikiki Honeymoon Winner!!!!! We are very excited to announce the winner of this amazing Honeymoon in Waikiki……….Congratulations to Amy Ebright of Sebastopol, California!!!!!! bottle champagne & dozen chocolate covered strawberries, to start their new married life together! The couple will enjoy the resorts two fresh water, heated pools, 24 hour fitness center, Royal Kaila Spa, five award winning restaurants, lush tropical landscaping with water features that will awaken your senses, spacious rooms with private Lanai’s to relax their soul and connect their love, and of course all Waikiki beach has to offer and beyond! Stay tuned for our next honeymoon giveaway to Jamaica! Engaged couples can enter at Virtual Honeymoon by taking our fun honeymoon quiz and filling out contact form, good luck! 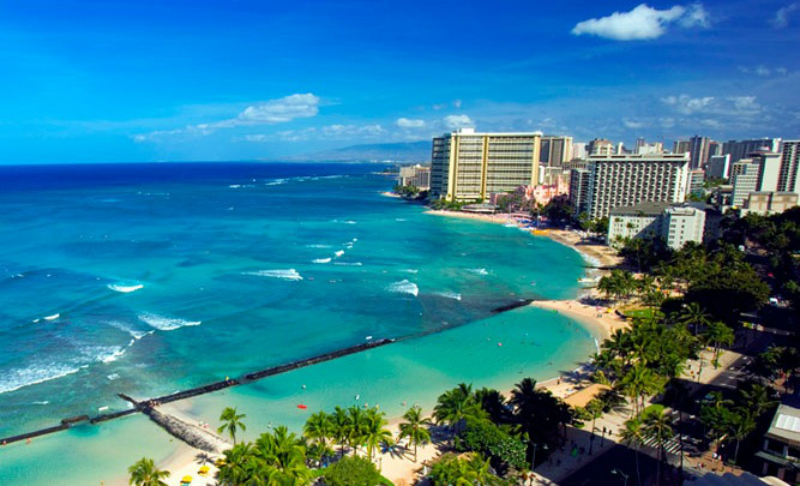 Posted in Honeymoons | Tagged hawaii, Honeymoon, novato, top honeymoon destination, trek winery, virtual honeymoon, waikiki, waikiki beach, Waikiki beach marriott, waikiki honeymoon | Comments Off on Announcing our Waikiki Honeymoon Winner!!!! !